The reindeer are fuelling up and Santa’s checking his maps for the flight south to deliver goodies to outdoor enthusiasts across the country. So it’s time to get your suggestion list together. What outdoor treats would you like to find under the tree on 25 December? grough has scoured the outdoor world to bring some suggestions to bring a sparkle to the outdoor fan at the festive season. We’ve even put a few select items to the test to see how they shape up as gifts. Here, in no particular order, is grough’s Christmas gift guide for 2015. 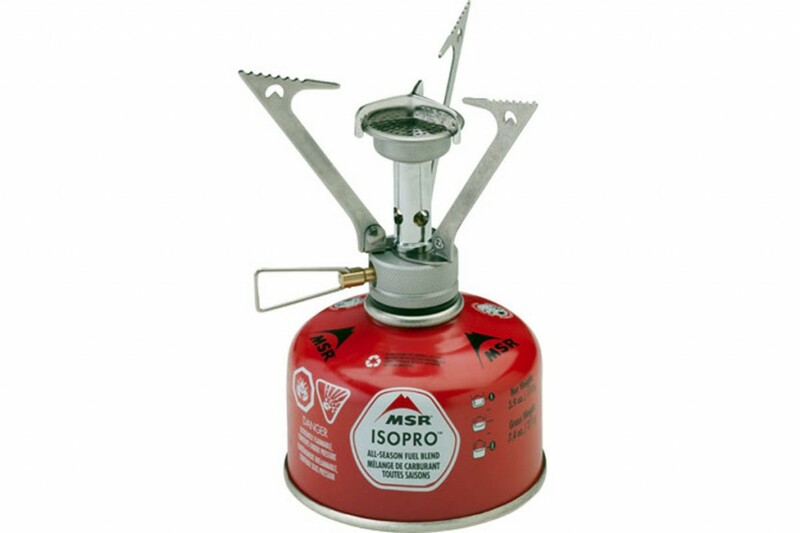 MSR’s PocketRocket Stove is the world’s most popular canister stove. Barely noticeable in your pack, it delivers impressively in camp. Precision flame control goes from torch to simmer while the Wind Clip shield boosts efficiency in breezy conditions. The Pocket Rocket costs £30. How about a down jacket to keep you warm in winter for less than £30? Retailer Decathlon’s brand Quechua offers the X-Light Down Jacket in both men’s and women’s versions for £29.99. It’s lightweight and offers comfort down to between -5C and -10C. It’s available in Decathlon stores and also online. After a tough day on the hills, it’s nice to have a bit of comfort when you get back to your campsite. The Therm-a-Rest Treo Chair is a neat way to sit in comfort while enjoying a little rest and relaxation. The seat packs into its own composite tripod base. Undo the tethered rubber band holding the legs in place, and fold out the legs to form the tripod. The chair comes with four shock-corded poles, two long; two short. The front leg has two holes into which the shot poles slot, then the two long poles go into the single holes on the back legs. Then it’s simply a case of slipping the Dyneema and nylon seat corners over the pole ends and the seat is ready to use. As Therm-a-Rest says, the seat has a 33cm (13-inch) seat height, which means you don’t ‘require a technical plan of descent’ to get into it. 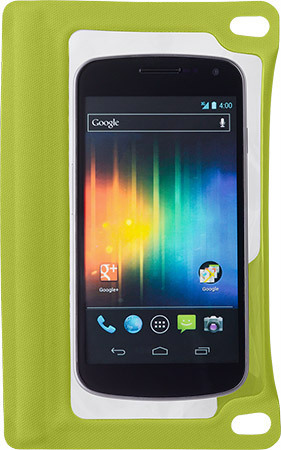 The Treo feels stable in use and feels supportive when you sit in it. It is designed to take people weighing up to 113kg (17st 12lbs). The tripod has non-slip leg tips which help. Packing it away is the reverse of assembly and is fairly easily achieved, thanks to the tough loops which make unhooking the sling from the poles. The poles are rolled up inside the sling which then fits in the base. There is also a hanging loop for the Treo. 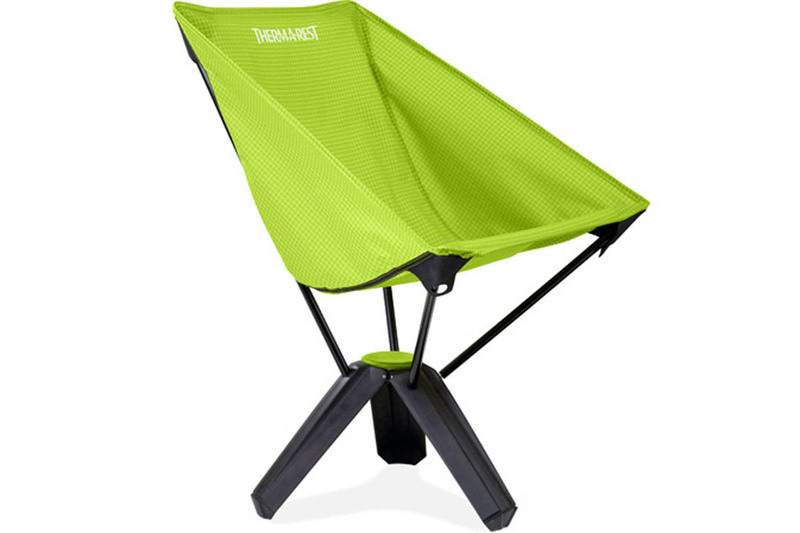 The Therm-a-Rest Treo Chair is a little on the heavy side for wild camping but it’s a great addition to your base camp gear and is a welcome bit of comfort as you relax at the end of the day and it’s also useful to take to the beach. 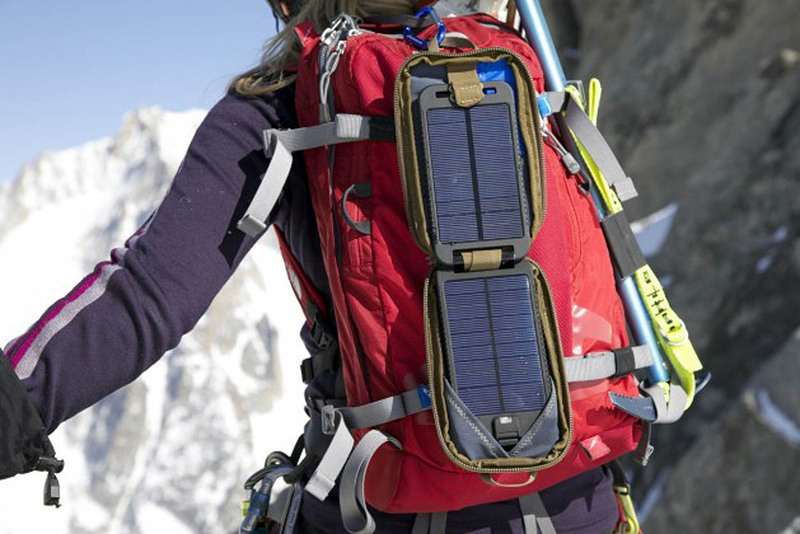 For eco-warriors, the upgraded Powertraveller solarmonkey adventurer 2015 will be right up their street. Simply harness energy from the sun via the foldable solar panels and even in low light, this gadget keeps working due to the MPPT technology within. Ticking many ‘green’ boxes, this self-sustaining power system is ideal for long trips off-grid and is equipped with an array of attachments capable of powering all manner of 5V gadgetry including smartphones, GPS, GoPros and iPads. It has a self-sustaining power source, it’s water- and shock-resistant, has a 3,500mAh battery with 5V 2A battery output and is fitted with straps and carabiner enabling it to be firmly attached to a backpack. The solarmonkey costs £85. Safe drinking water may not be at the top of any travellers Christmas list but with many trips both overseas and in the UK ruined through sickness it makes an ideal gift – and it’s not that difficult to wrap). Aquapure Traveller from UK-based Pure Hydration is a regular-sized 750ml sports bottle that purifies up to 350 litres of water without the use of pumps, straws or chemicals. Simply fill the bottle, replace the cap and squeeze for instant, safe, clean drinking water that can also be used for washing, brushing teeth, cleaning salad and fruit or cooking. Tested by the London School of Hygiene and Tropical Medicine this lightweight, portable system is proven to remove viruses, bacteria such as E-Coli and pathogens including Cryptosporidium to deliver water that meets and exceeds UK, EU, US (EPA) and World Health Organisation drinking water requirements. It also removes trace metals, weedicides & pesticides and other chemical contaminants as well as improving appearance, taste and odour and can be filled from any fresh water source such as hotel taps, lakes, rivers, streams, ditches, stand-pipes, puddles and even watering holes. It also prevents hundreds of plastic bottles from being dumped or going to landfill which ticks a box for the eco-traveller. 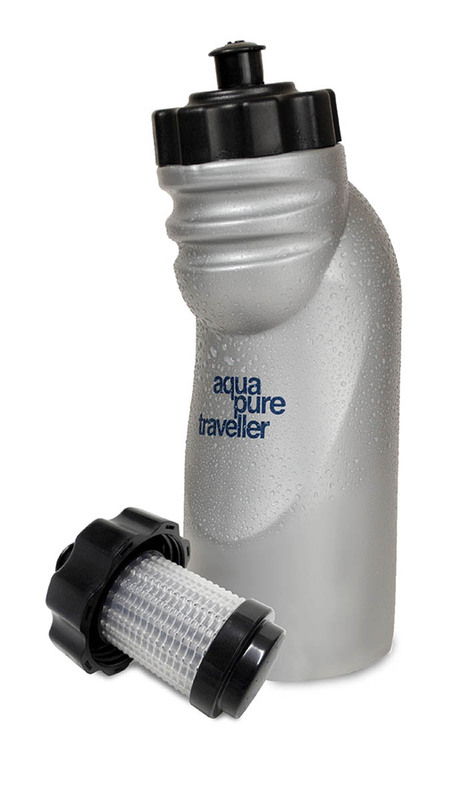 Costing £39.99 (or less than 12p a litre) Aquapure Traveller comes with a free carry case worth £9.99 and can be shipped worldwide. Replacement purification caps are also available. It’s a fact of modern life that our electronic devices demand our attention even when we’re in the great outdoors, so it’s a boon to be able to operate your smartphone or other device while keeping your hands warm. These Helly Hansen gloves have smart fingertips that enable you to use touchscreens with the gloves on, so you don’t have to put up with cold hands while keeping in touch. The stretchy polyester softshell material hugs the hand and there’s an elasticated cuff to keep the draughts out. The palms have a grippy pattern that helps when using items such as an ice axe. The Helly Hansen gloves are medium thickness, ideal for those cool days, but not too thick to make you lose too much dexterity when, for instance, using a compass. 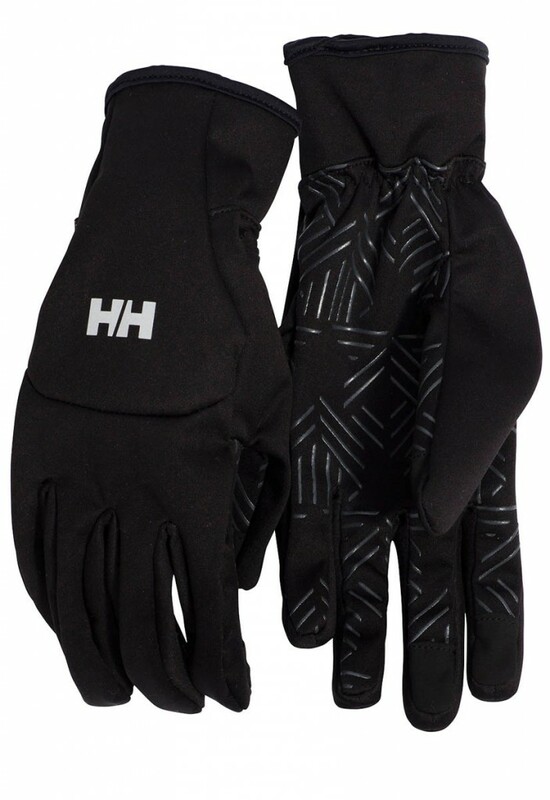 The Softshell Smartgloves are also shaped to follow the natural curve of the hand, and there’s a reflective HH logo on the back of each glove. A pair weighs 46g and retails for £35. Walking poles help take the strain off legs and provide stability over uneven terrain. Leki’s Sherpa XL poles are recommended by Glenmore Lodge and feature comfortable Aergon grips including thermal extension, TÜV-certified Speed Lock adjustment system, and lightweight, high-strength aluminium shafts. The Sherpa XL poles cost £109.95. American leader in the insulated hydration market Hydro Flask has introduced its TempShield insulation to Europe. Used in all Hydro Flask bottles and containers, TempShield insulation ensures that Hydro Flask products always deliver refreshment by keeping temperatures constant for hours. You can wave goodbye to lukewarm as Hydro Flasks keep hot drinks hot for six hours and cold for 24 hours. Hydro Flask is available in nine vibrant bright colours that span across its hydration and beer products. 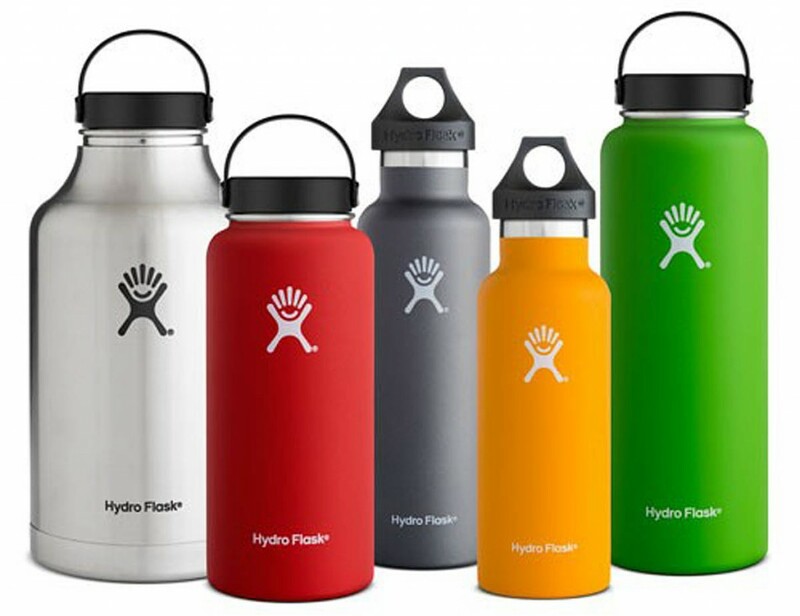 All colours are formulated using Hydro Flask’s proprietary powder coat for easy grip and extra durability. Hydro Flask Standard Mouth models range from £23 to £26 and Wide Mouth versions are £35 to £37. What could be more traditional than socks at Christmas? These 1000 Mile socks are nicely padded to protect the foot in important areas. The ball of the foot, toes and heel all have extra thickness to cushion impact, and the heel section also extends upwards to give extra protection of the Achilles’ tendon. The 3 Season Socks are made from a blend of 80 per cent merino wool, 19 per cent nylon and 1 per cent elastane, which makes them nice and warm as temperatures drop. We used them in cool autumn conditions and they kept our feet warm and dry. 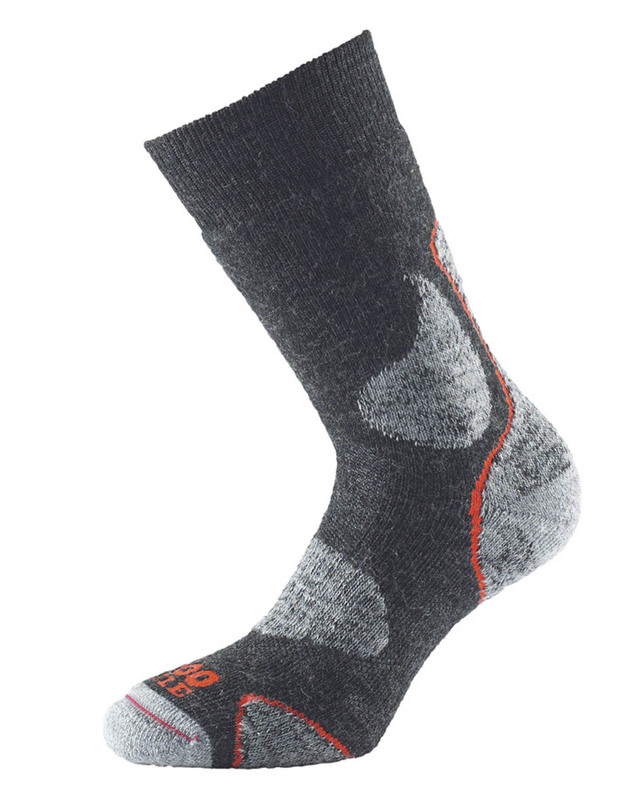 The high merino content also meant they resisted odours well, so if you’re planning a multi-day walk, these are ideal. Merino is a soft material, so make sure you keep your nails nicely trimmed so you don’t risk poking a hole in these socks. The 1000 Mile 3 Season Walk Sock also has a vented area over the top of the forefoot to help shift moisture, and a nice touch is the extra padding in the ankle bone area, which can often cause discomfort rubbing against the inside of boots. The socks come in three sizes for men, covering shoe sizes 6-14, and in two sizes for women, for 3-8½. The 1000 Mile 3 Season Walk Socks made for a comfortable experience during our autumn walks in cool conditions. There’s more incredible value from retailer Decathlon who are offering a backpack for a miserly £2.49. 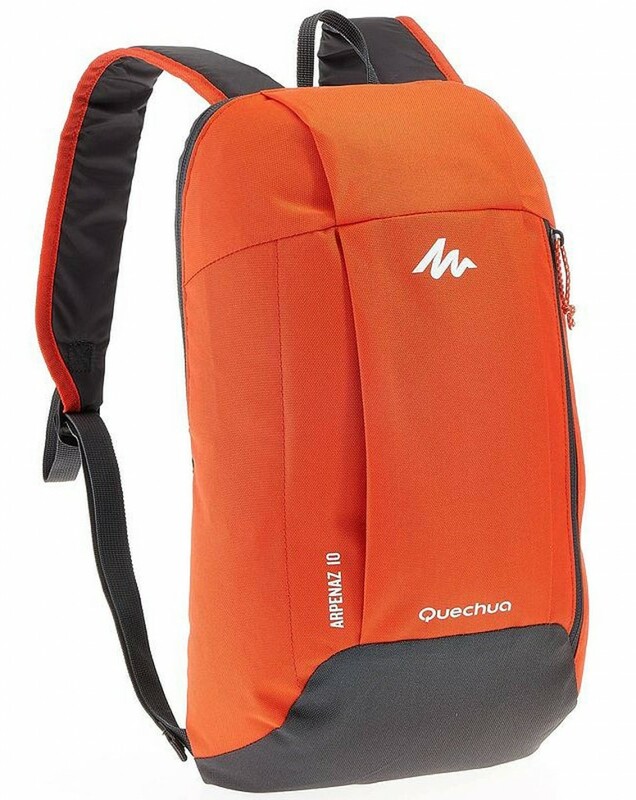 The Quechua Arpenaz 10 Hiking Backpack is ideal for those little trips where you don’t need heaps of room for gear. The pack has a 10 litre capacity and weighs 160g. It comes with an outer pocket and has padded backs and straps. For peace of mind, Decathlon offers a 10-year guarantee of the Arpenaz’s abrasion resistance. The pack is available in store and online. No matter what sport you do, the body temperature rises quickly over the optimal temperature of 37C. We start to sweat, especially around the head, because there the body can release the most heat. But before the sweat starts to trickle down the face, it is absorbed by the X-Bionic High Headband’s 3D Bionic Sphere System on the forehead and used effectively for cooling. This way athletes can maintain their best performances. 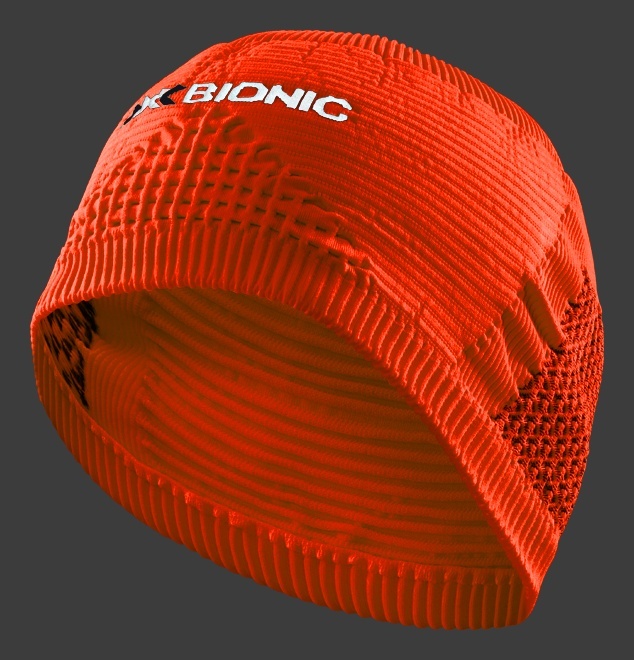 X-Bionic’s High Headband warms and cools where it should, not just where it can. It has a unique 3D knit structure on sweat-intensive areas like temples and forehead. If there’s no sweat, chambers insulate against cold. Targeted 3D-honeycomb structure protects ears without impairing hearing. The X-Bionic High Headband comes in five colours and costs £23. If you suffer from blisters or are embarking upon a long-distance venture, this blend of five natural oils, applied to the foot just before setting out, could save you some pain. Stride Out has been developed by an ex-SAS member and keen mountain walker who couldn’t find a suitable deterrent for the dreaded blisters, so set about developing his own. It’s a very pleasant smelling liquid that comes in a little screw-cap bottle that resists leaks. You put about a teaspoon’s worth on each foot and pull on your socks. Any excess can be wiped on the outside of your sock. You can instantly tell there’s less tendency to rub against the sock, and friction is definitely reduced. Stride Out oil is long-lasting: we could feel the effects for quite a while, including getting into the shower after our walks. Be careful as your feet will still feel quite slippery! We’re fortunate in not often suffering from blisters, but our feet did feel nicely protected after applying the oil. Blister-free feet are happy feet. 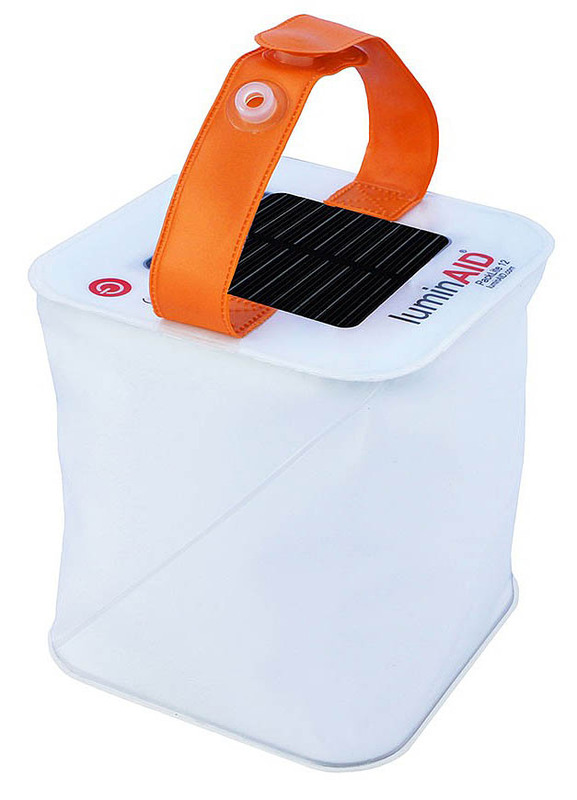 Luminaid’s PackLite series is every savvy camper and backpacker’s answer to convenient, portable, solar powered lighting to illuminate even the darkest areas of the camp once the sun has set. The series includes the PackLite 16, PackLite 12 and the PackLite Spectra. 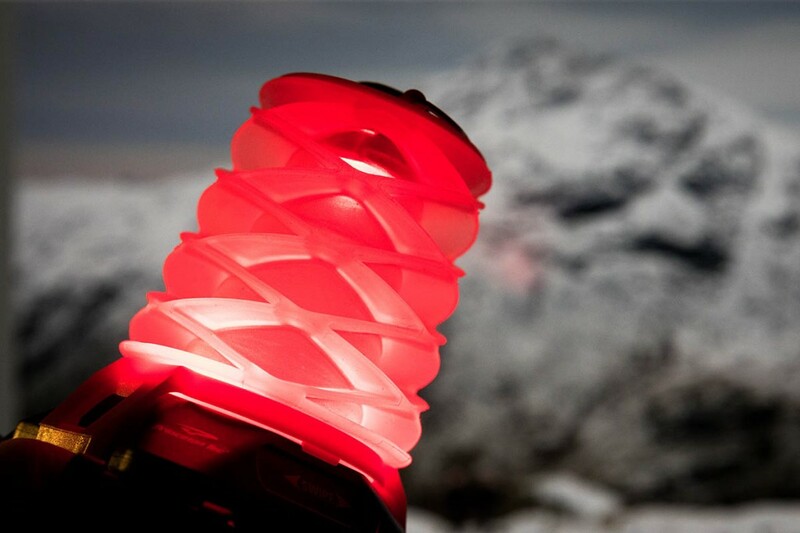 The PackLite 16 and 12 are two high-performance, solar-rechargeable, inflatable lamps that pack flat and inflate to create lightweight, waterproof inflatable lanterns. Safe, and highly portable, the PackLite 16 can provides up to 16 hours of light with the 12 providing 12 hours, all on one charge. Both lamps weigh in at only 99g (3½oz) and also have three brightness and emergency flash setting and can recharge even when the weather is overcast. The PackLite 12 and 16 are also waterproof, inflatable and made from environmentally friendly materials that are PVC-free, making them the ideal accessory for all camping trips. The lamps retail at £24.99 for the PackLite 16 and £21.99 for the PackLite 12. You don’t ever head out into the great outdoors without a first aid kit, do you? An important principle of the outdoors is to be as self-reliant as possible, so there’s always a little kit in our rucksack. This little Lifesystems kit is aimed at those taking part in racing events but we reckon it’s ideal for everyone heading for the hills who wants the assurance of having a few vital items for those minor accidents. The pack is only 120mm x 120mm x 35 mm. 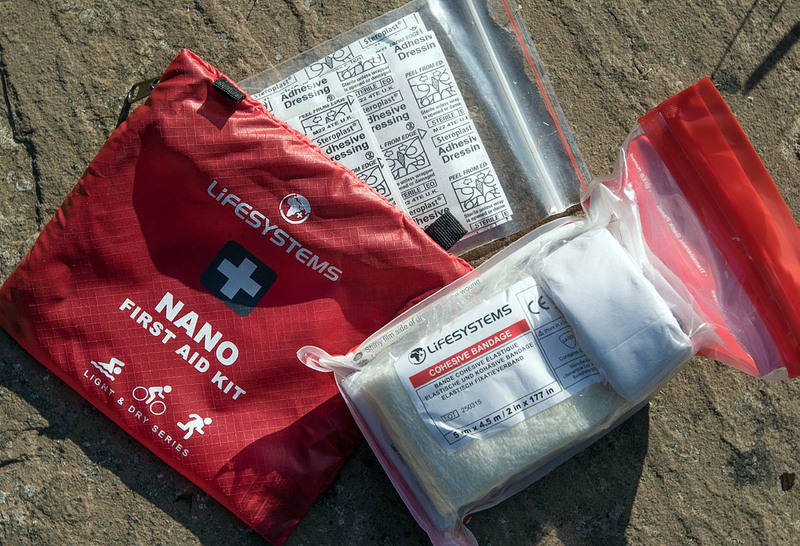 The Light & Dry Nano First Aid Kit comes in a lightweight zipped pack. Inside is a tough, IPX8-waterproof lock-top case containing a first aid leaflet, a sachet of SPF50 sun cream, a 4.5m cohesive bandage, zinc-oxide tape, two gauze swabs, a low-adherent dressing, a blister plaster and two alcohol-free wipes, along with five safety pins. In a separate waterproof pack is a selection of adhesive plasters. The main waterproof lock-top case is big enough to squeeze in a standard smartphone too, so you know where it is in an emergency. We were fortunate enough not to need the first aid kit during our outings, but it’s a great little pack to have in your rucksack: it’s compact, light, and has most things you need to deal with those minor emergencies out on the hill. We won’t be going into the outdoors without it. 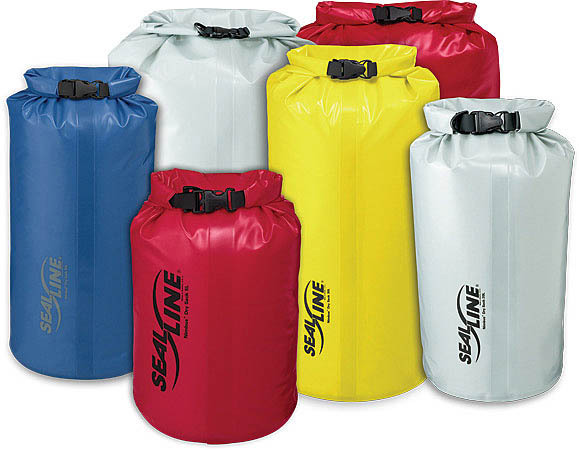 Exceptionally durable, Seal Line’s Nimbus Dry Sacks offer the perfect combination of light weight and reliability. Coated inside and out with a tough urethane, these sacks are ideal for everyday abuse, to remote expeditions where weight and bulk must be kept at a minimum and wet gear is definitely not on the itinerary. The packs are light and strong with advanced fabrics, coatings and RF-welded construction offering exceptional durability. They have secure closures using Dry Seal roll-down top offers added burst resistance thanks to the tenacious urethane coating. Nimbus packs are PVC-free: eco-friendlier coatings reduce environmental impact. The Seal Line Nimbus packs come in 5 litre, 10 litre, 20 litre, 30 litre and 40 litre versions, costing between £15 and £30. 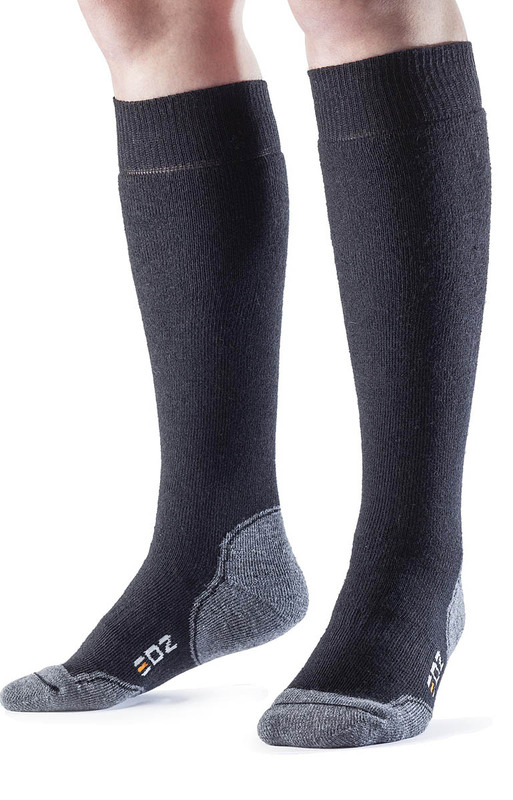 These long and well padded socks are aimed at use in cold weather. The EDZ Comfort 5000 are made from 64 per cent merino wool, 35.3 per cent nylon and 0.6 per cent elastane for a bit of extra stretchiness. Don’t ask about the missing 0.1 per cent, we don’t know! They’re great for keeping feet and legs warm when the temperature drops, and there’s plenty of cushioning both at the heel and toe and ball of foot areas. The socks have a loop-knit construction for added warmth. They come up to just below the knee and there’s elastication at the top, which stopped them slithering down the leg. With such a high merino wool content, they resisted odour well and this obviated the need to bang them in the washer quite so often, which saves on energy costs too. The EDZ Comfort 5000 Socks are great to slip on when you’re going to be wearing winter or 3-4 season boots when the temperature is dropping. 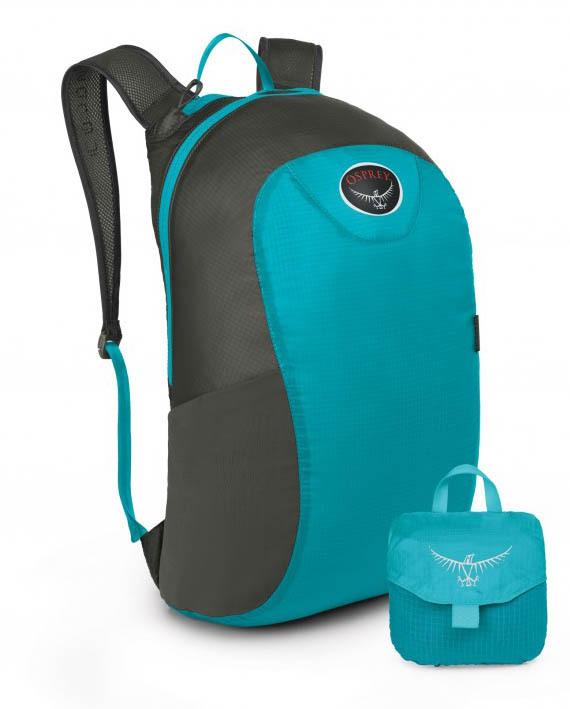 Osprey’s Ultralight Stuff Pack packs into its own compact carry case. Within seconds the lightweight backpack can be stuffed away into its own carry case, no larger than the size of an apple. Built with a Deluxe AirMesh harness the backpack offers a comfortable carry unusual for a compressible pack of this size. It has zipped panel access, reflective graphic printing, fully waterproof coated fabric and seams. It also has a stretch mesh side pocket for a water bottle and an internal security pocket. The Osprey Ultralight Stuff Pack costs £25. 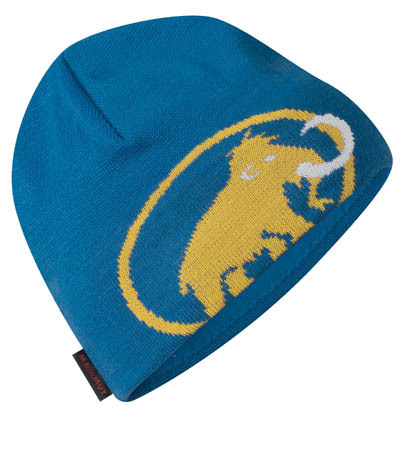 Retailer Cotswold Outdoor has a range of stocking fillers, including the United By Blue’s Ragg Wool Beanie, a classic beanie with fold up hem that is perfect for keeping you warm and cosy during the winter months. The Ragg Wool Beanie retails at £25. 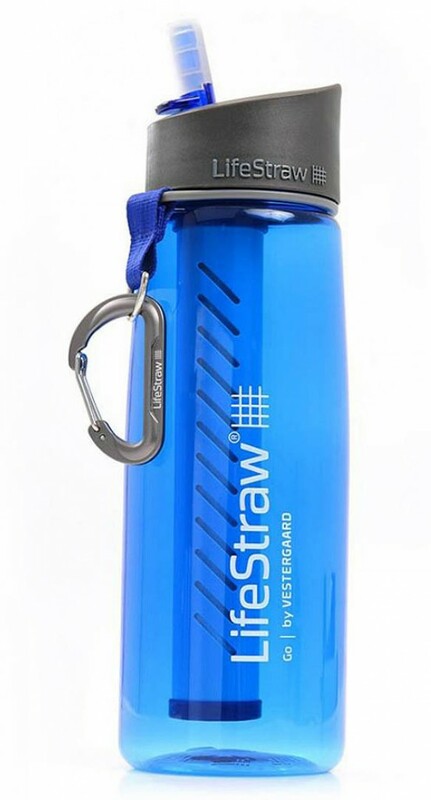 The LifeStraw Go Water Filter Bottle incorporates award-winning LifeStraw technology into a refillable water bottle so you can carry safe drinking water with you on the go. Simply scoop water from a river or pond, screw the lid on, and sip safe water through the mouthpiece. The water bottle design is ideal for hiking, backpacking, running, and other activities where you’re on the move and aren’t always near a water source. The LifeStraw Go Water Filter Bottle costs £35. Buff is best known for its multi-purpose neck gaiters, but it also makes a great range of hats suitable for all sorts of conditions. 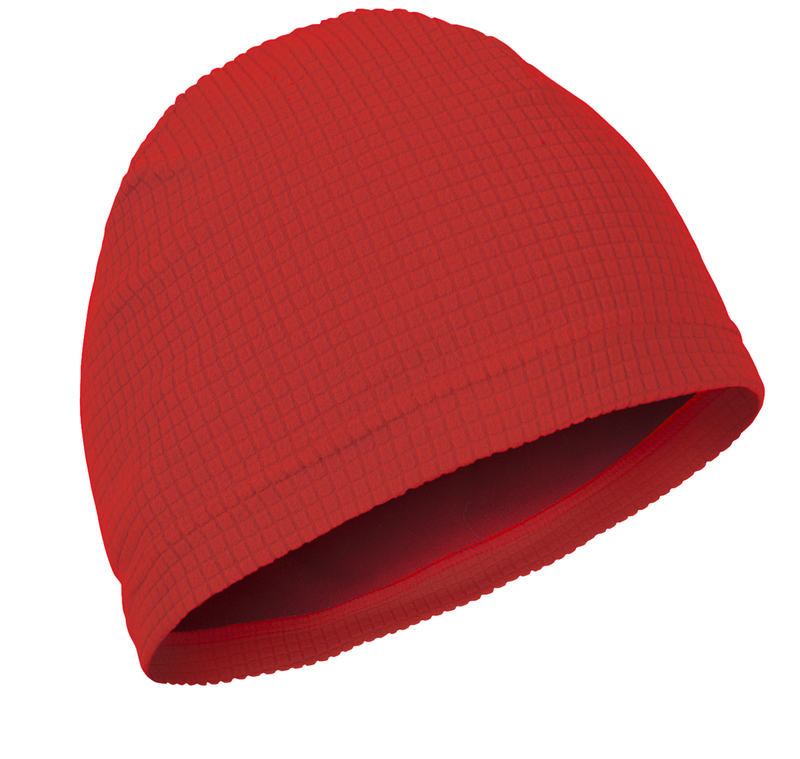 The red Microfibre 1 Layer Hat is a lightweight stretchy polyester model that weighs just 18g and costs £14.50. We used this in mild conditions to provide just a little warmth on the tops when the wind got up. Good for when you’re moving fast and don’t want too warm a lid on your head. The hat is treated with Polygiene to help keep bacteria and odours under control. For a little more warmth in a lightweight hat, the grey Single Layer Light Merino Wool Hat is a good bet, for those times when you’re not pushing the pace so fast. The 100 per cent merino wool model sells for £21 and has natural odour-controlling properties. 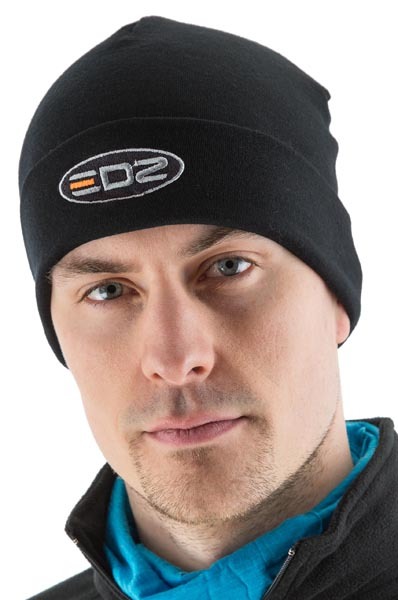 When the temperature drops, the 100 per cent polyester Microfibre 2 Layer Hat provides extra warmth while still wicking away sweat and controlling odour thanks to the Polygiene treatment. For maximum warmth when the temperature drops below zero, the Polar Hat is made from 100 per cent polyester Polartec Classic 100. Our black model kept us warm in freezing temperatures while walking on the hill. The Polar Hat weighs 24g and costs £14.50. 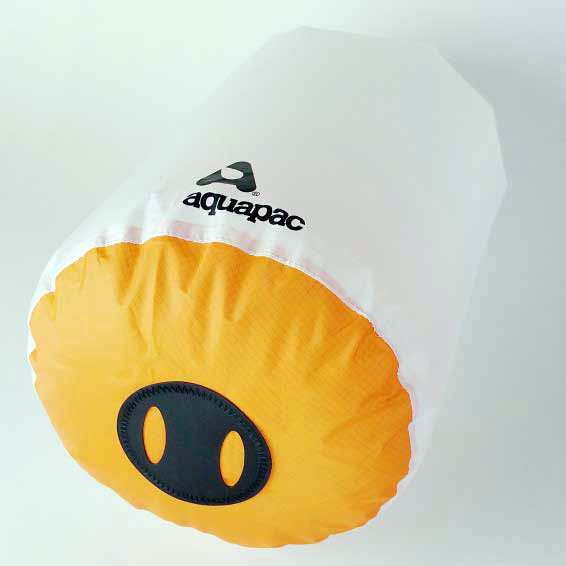 Aquapac’s PackDivider Drysacks can be used inside other bags to separate items, add waterproofing and prevent toiletry leaks from spreading. They are made from PVC-free translucent material so you can see bag contents, are colour-coded for quick access to essentials. Their bright colours are easy to find in luggage and have grab handle at both ends. Aquapack PackDivider prices start at £9 for the 2 litre pack, rising to £13 for a 13 litre version. All four sizes, 2 litre, 4 litre, 8 litre and 13 litre, can be bought together for £44. This sturdy mug in the shape of a beer barrel holds 500ml – or a bit less than a pint – of your favourite chilled beer and will keep it that way when the temperature rises, thanks to the double-layer stainless steel construction. Alternatively, if you want a warm drink on a cooler day, the Double Barrel will keep it warm for you. The double skin means the outside keeps cool and there’s no liner of BPA to taint the contents. The 500ml version comes with a plastic lid that has a sealing ring to keep liquid in. The lid has a slider in the top to enable you to keep the lid on while you drink. 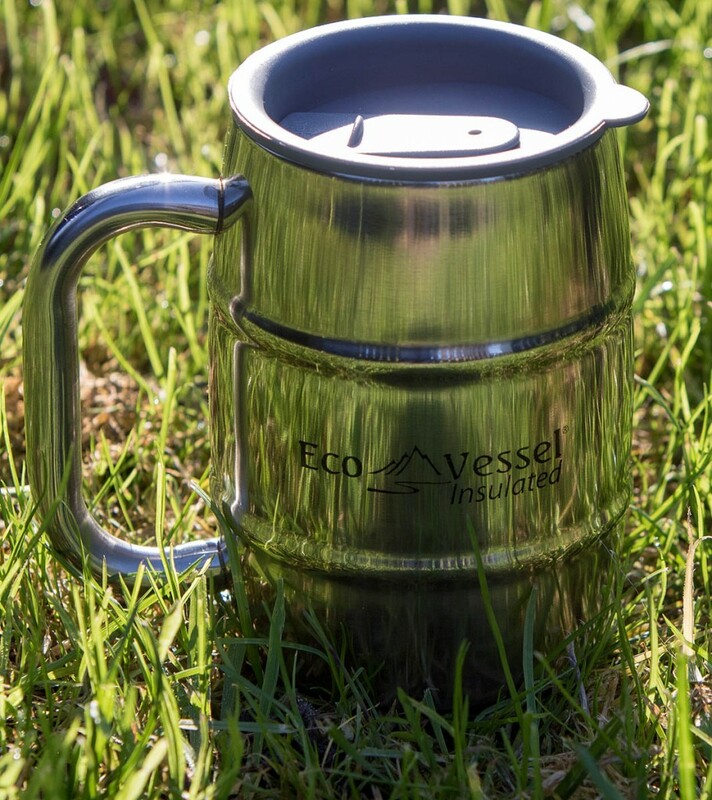 The EcoVessel Double Barrel Insulated Mug worked well both at keeping hot drinks warm and cold drinks cool, and the slider on the lid was easy to use. The mug stands about 13cm (5 inches) high and weighs 282g, selling for £19.95. The Boulder is named after the Colorado home of EcoVessel and works well both keeping hot drinks hot and cold drinks cool. The triple insulation is rated at 8 hours for keeping your coffee or tea warm, so it’s ideal for those winter trips on the hill. The stainless steel construction is sturdy and the screw cap is leak-proof. This version holds 600ml (just over a pint) so is ideal for personal use. There’s a secondary smaller screw cap tethered to the bottle that reveals a plastic spout from which you can drink direct, so there’s no need to pour your drink into a cup. The strong plastic tether strap also serves as a carrying handle when the cap is closed. 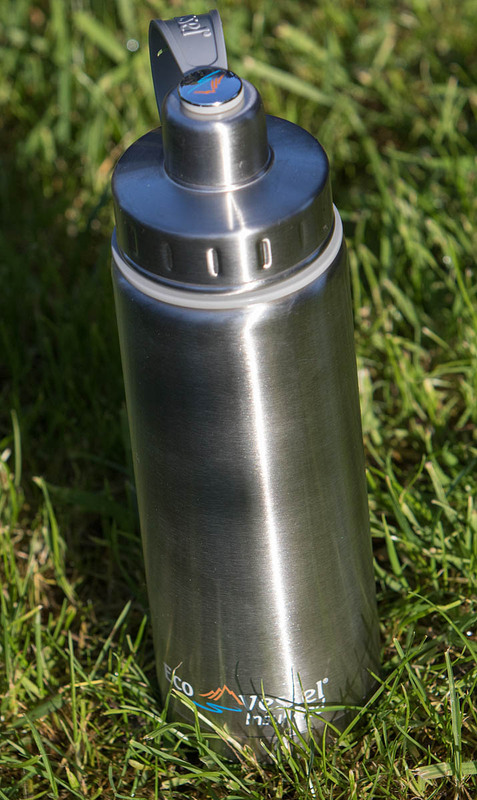 The Boulder Triple Insulated bottle also comes with a stainless steel strainer which sits inside the lid and can be used for tea, fruit or ice. The bottle stands 24cm (9½ inches) high and has a 7.6cm (3-inch) diameter which means it will fit in most cup holders. It weighs 348g and costs £29.95. The Boulder Triple Insulated Bottle is good quality and stood up to the usual knocks we subjected it to out on the hill. Rohan’s Rona Hat is chunky, comfortable and warm, perfect for keeping winter chills at bay. Knitted with an attractive marl and fleck pattern, the soft wool and acrylic blend Rona Hat has a deep turn-back hem to help you adjust the fit. The fabric also offers great durability and dries much quicker than traditional 100 per cent wool. The hat costs £26 from Rohan. If your outdoor activities stretch to running, Raidlight LED Visibility Top is the answer to being seen during winter’s dark nights. 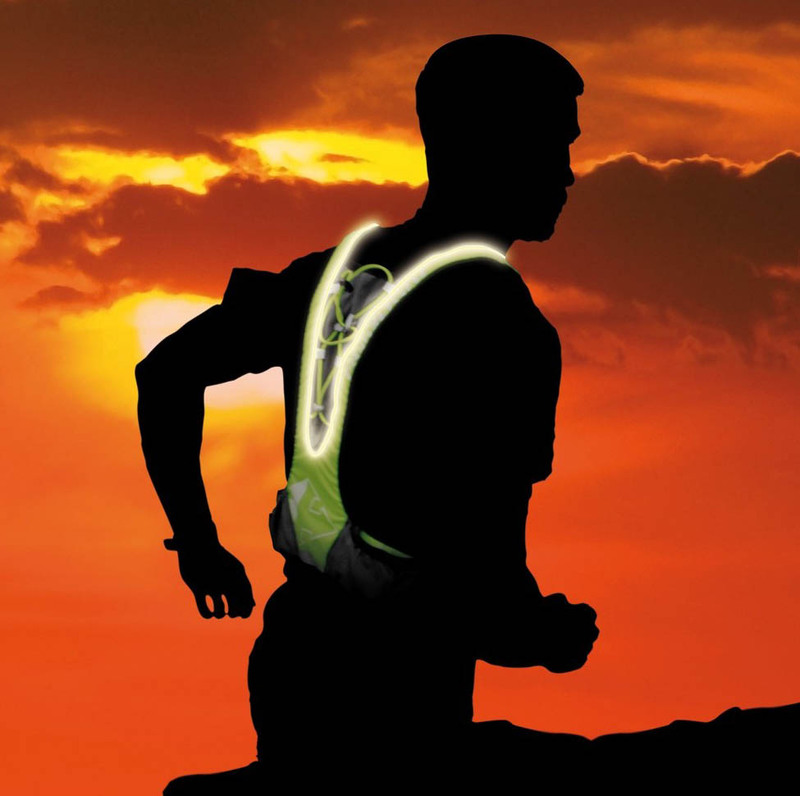 This overhead tabard with integrated LED lighting will make anyone really stand out no matter how dark the night is and comes complete with handy storage space with enough space for gels and even a shell top. The Raidlight top is ultralight weight, 140g, has LED lighting that is visible from the front and back, reflective piping, reflective front and rear, two mesh side pockets, one front zipped pocket for gels or phones, 3D mesh for comfort and anatomical design and costs £39.99. A good hat is a sensible investment as winter beckons. Bridgedale, for years synonymous with quality socks, now has a range of hats to keep your head warm too. The Classic hat is made from Bridgedale’s MerinoFusion, with 50 per cent merino wool and 50 per cent acrylic. This makes for a nice warm lid for you head when the temperature drops, and good odour resistance. There’s a polyester fleece band lining the inside which helps wick any sweat away from your brow but blocks the wind from your ears nicely. 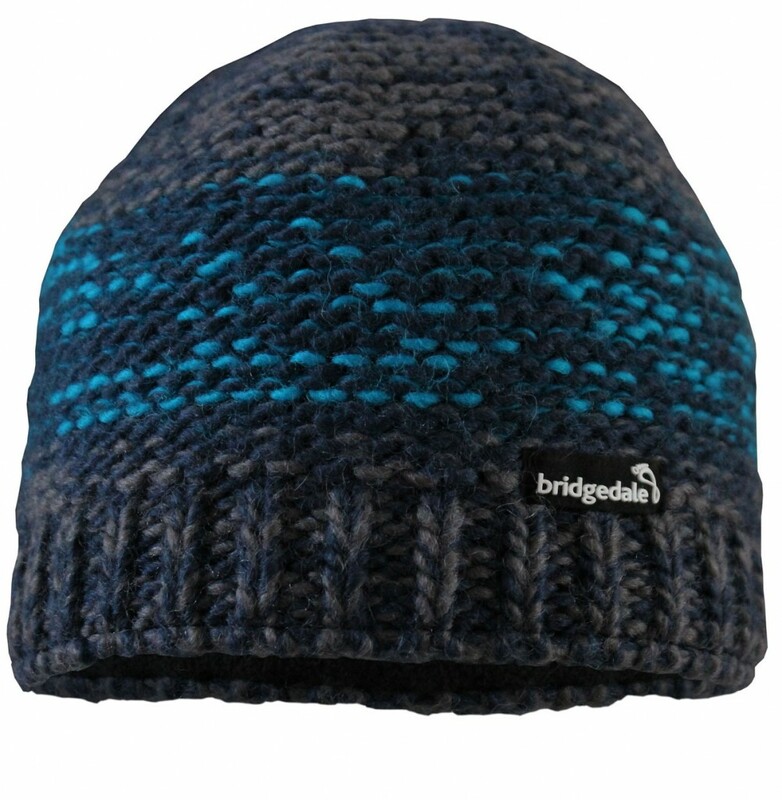 The Bridgedale Classic has a traditional knit style and weighs 78g. It sells for £22. The Chunky hat again uses MerinoFusion mix to provide warmth. The full polyester fleece liner gives extra warmth and comfort and the style is suitably seasonal. 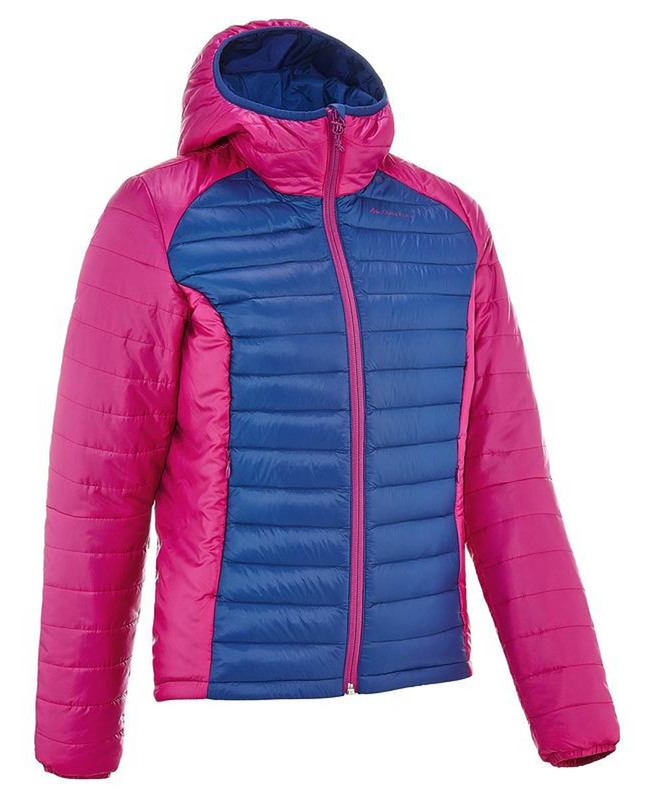 Fit is good without being too tight and we can vouch for the Chunky’s warmth after using it in the snow in the Alps. Weight is 92 g and the Bridgedale Chunky hat sells for £20. 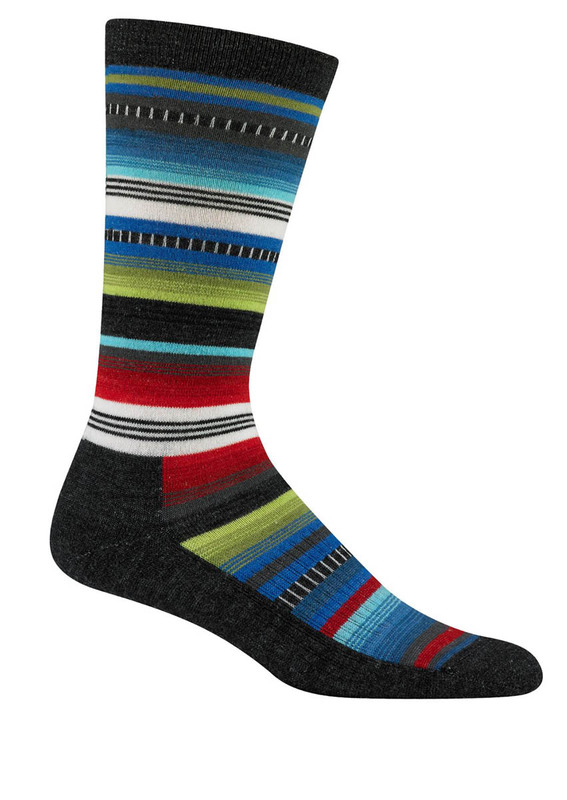 These colourful unisex socks are made from 56 per cent merino wool, with 42 per cent stretch nylon and 2 per cent Spandex. There’s extra cushioning along the whole of the sole, which was particularly effective at the heel. The Taos socks come in a foot-hugging fit which makes them great for walking trips but their stylish rainbow design makes them good for everyday use too if you like to make a colourful statement. The US-made socks are medium thickness, so they’re good in boots and the merino content gives them good insulating properties and also resists odour build up. A pair of the Taos weighs 64g and sells at £20. 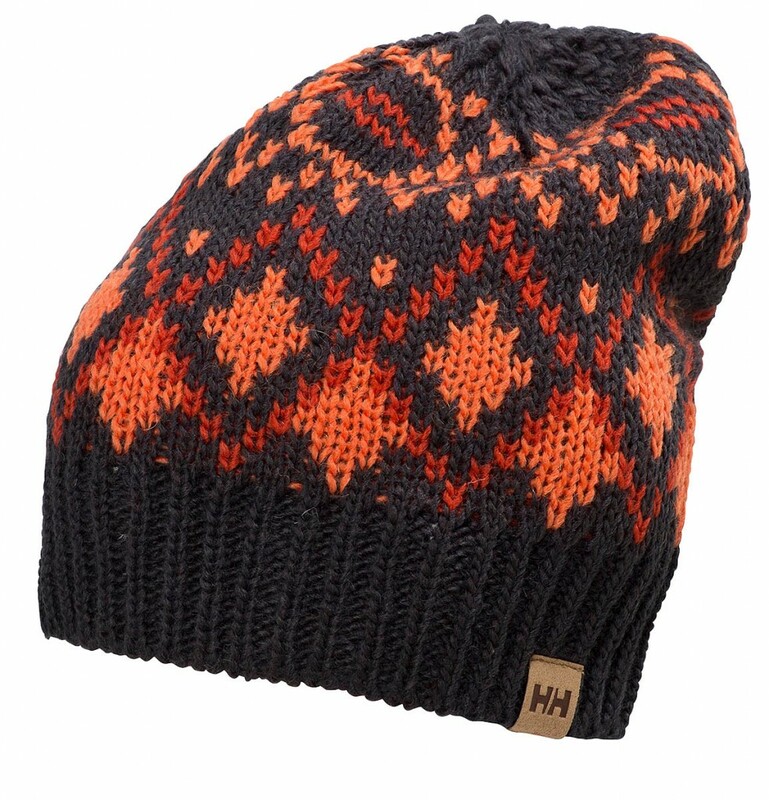 Helly Hansen’s Heritage Knit Beanie has a traditional Scandinavian pattern and is made from 50 per cent wool and 50 per cent acrylic. The double layer knit keeps you warm on cold winter days and costs £25. The Heritage Knit Beanie comes in three different colourways. This little addition to our camping kit makes all the difference to a good night’s sleep. We’ve done the usual filling a stuff sack with clothing, but you always get lumps and it never seems to be just the right volume. 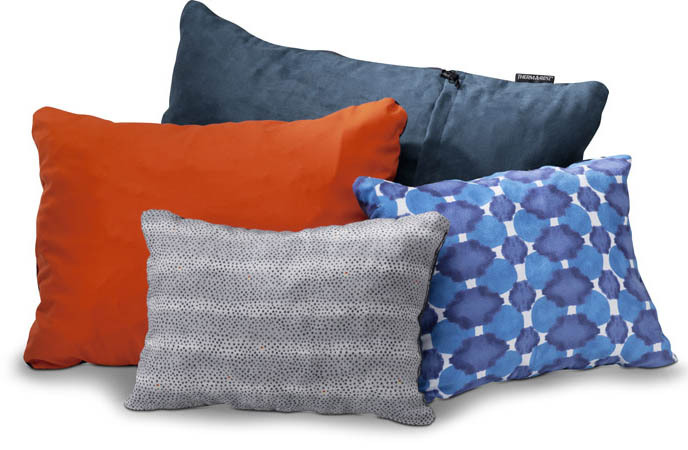 The Compressible Pillow comes in four sizes. We used this small sized one when wild camping. It weighs just 200g and packs away into a 30cm (12-inch) sausage shape with a drawcord closure. The cover is brushed polyester and the pillow is filled with urethane foam. Unpacked, it makes a nice comfortable 30 x 41cm (12 x16in) place to rest your head after a hard day on the hill. In the morning, roll the pillow back into its end pocket and pull the drawcord to contain it in a compact package. Every backpacker should have one little luxury, we reckon, and the £17 small Therm-a-Rest Compressible Pillow is our favourite one. 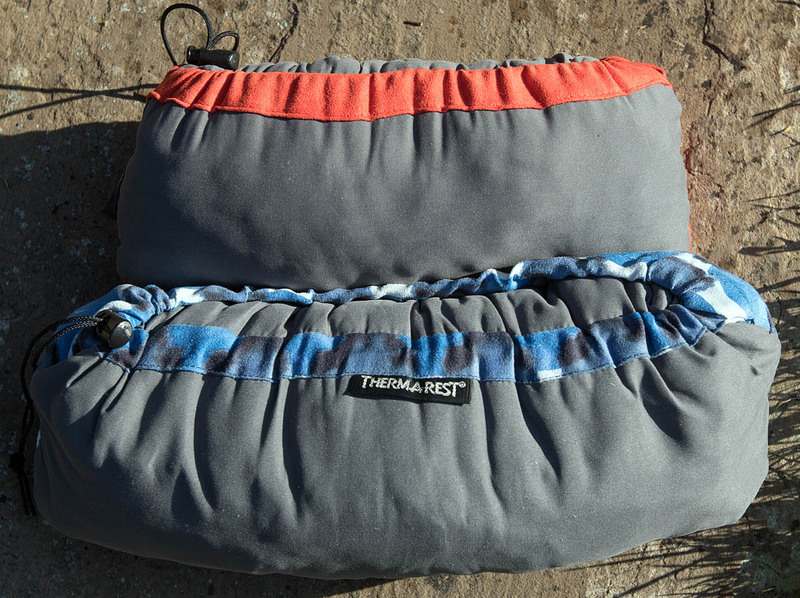 When space and weight are less of a consideration, the large version of the Therm-a-Rest Pillow gives even more comfort for those base camp nights. Like its smaller cousin, it has soft foam filling and a brushed polyester cover. The large version measures 41cm in length when packed and weighs 340g. Unpacked you have a more voluminous pillow measuring 41 x 58cm (16 x 23in). We used the large version on our valley camp when we weren’t packing everything into a rucksack. We won’t be camping without it again; it beats stuffing a stuff sack with odds and ends and means your head’s at the right angle for comfortable sleep, especially when you sleep on your side. The large Therm-a-Rest Compressible Pillow costs £27. 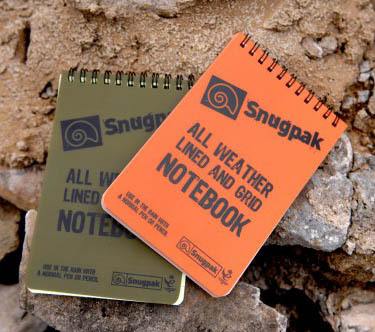 A great little stocking filler is Snugpak’s Water Resistant Notebook. You can write your notes in any weather conditions, even if it’s raining, using any pen or pencil. The interior pages have both lines and grids and on the inside of the back cover is a useful conversion chart for lengths, weights and temperatures. 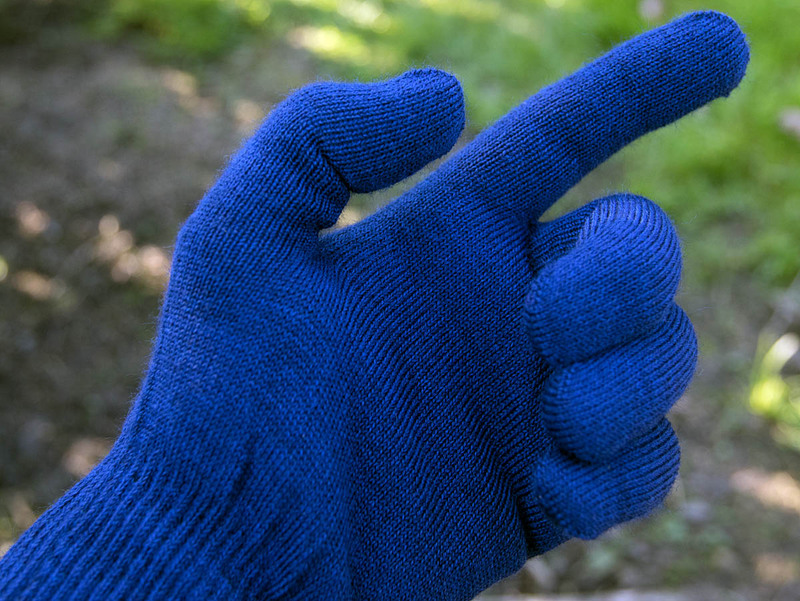 These simply designed gloves can be worn either on their own in cool conditions or as liner gloves inside a thicker outer pair. They are made from 100 per cent merino wool, so insulation is good, and there’s an elasticated cuff to keep things snug, with 3 per cent elastane. We used them as general purpose gloves for when we wanted a moderate protection for our hands when moving quickly, but they will also add an extra layer of warmth inside outer gloves in winter. The merino also helps combat odour build-up. At 36g, the EDZ Liner Gloves won’t add much weight to your pack and they cost just £9.99. The gloves come in three sizes: small, medium-large, and extra large. Forget having to pack a full wardrobe for you and all the family when you head off on your camping adventures. The award-winning Scrubba wash bag is the modern family’s answer to super lightweight packing and travel which allows yesterday’s clothes to be washed, cleaned and ready to wear the following day in six very simple steps. The technology behind the patent-pending Scrubba wash bag is an ultra-flexible internal washboard composed of hundreds of resilient nodules. These are an ultra-modern, ingenious design based on the old-fashioned washboard which allows users to effectively wash clothes anywhere and anytime and takes just three minutes. The Scrubba wash bag is destined to become every family’s must- have item when packing for their holidays especially as it only weighs 145g. 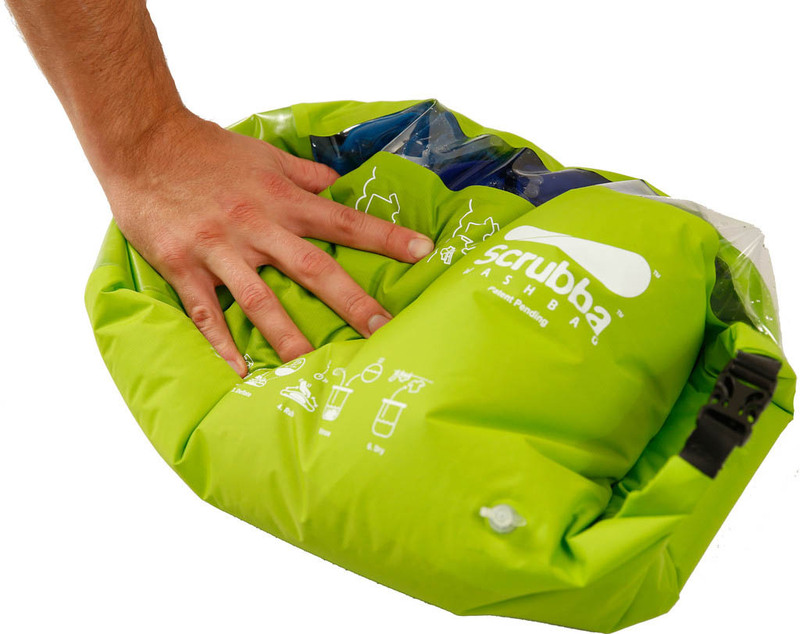 Priced at £39.99 The Scrubba is the perfect, lightweight pocket-sized solution to all your clothes packing dilemmas. This snug-fitting hat from Páramo has a fleece liner and the brand’s Parameta G fabric on the outside, a combination that brings warmth and good wicking. We used the hat in cold conditions while pushing hard up the hill and it works well, providing a good amount of insulation while shifting any sweat that built up. The 100 per cent material has a little stretch and the hat comes in one size. It felt secure in high winds. The Páramo Beanie weighs 42g and costs £18 and is ideal for when you’re working hard in cool or cold conditions. 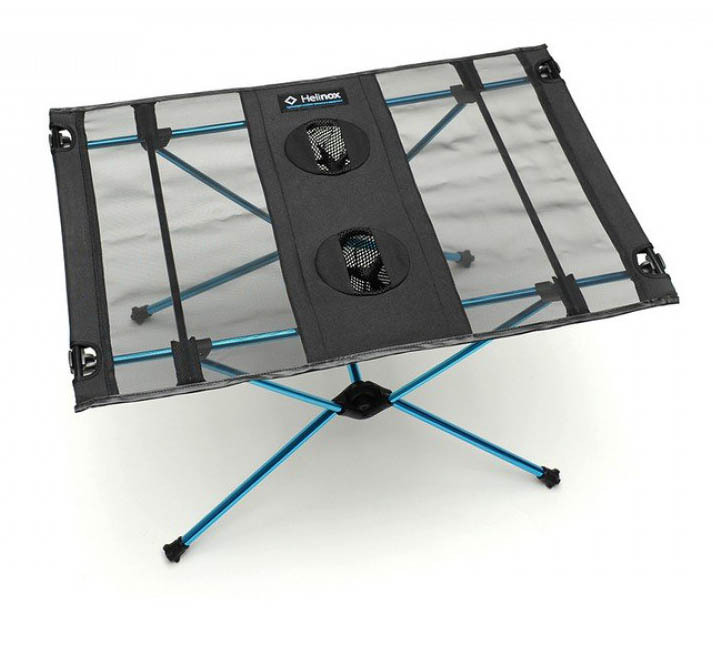 The Helinox Table One is a truly portable table for the wilderness. Helinox said it almost ‘assembles itself’. It has an ultra-lightweight TH72M frame tensioned mesh top and is super compact. There are two drink holders and space for meals, maps, books or electronics. It stores compactly into zipped bag that fits into a backpack. It weighs 670g and costs £99.99. Chances are, if you’re camping for any length of time, you’re going to have to do a bit of washing. On a wild camp or even on many campsites, drying your clothes after they’ve been washed, or even just putting them to dry after a wet day on the hills, often means putting a bit of string out and trying to secure them. 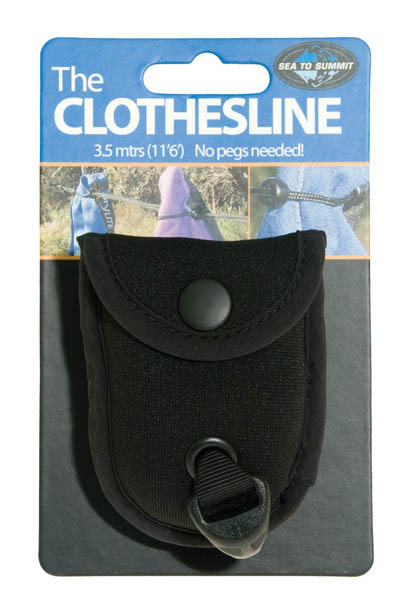 The Sea to Summit Clothesline is a more elegant solution that needs no pegs but still secures your clothing. It comes in a tiny little bag which doubles as the anchor for one end of the line. Wrap it round a tree, pole or guy line and use the hook to attach it to the line. At the other end of the line is a hook with a locking tensioner similar to those found on tent lines. The Clothesline then has 10 sliding beads. You pass the top of your item of clothing through the double cord and slide a bead either side of it to hold it. The beads held our socks and undies even when the breeze picked up and there’s no need to pack any pegs. The Sea to Summit Clothesline is 3.5m in length. How much usable length you have will depend on the diameter of what you wrap it round, but it weighs only 26g – less than an ounce – and works a lot better than trying to manage with a length of string and pegs. Packed in its little pouch, it measures 7cm x 5cm x 2cm. It costs £9. This all-merino hat is ideal for cool days when its natural insulating warmth is just right. The EDZ hat is dual layer but still has low bulk, so it’s a good choice for wearing under a helmet. The fabric is stretchy and comes in just one size, which hugged the head well. It has a turn-up section at the bottom which provides an extra layer of insulation across the forehead area and ears. There’s no itchy feel to the merino wool and the hat was comfortable. The beanie also resists odour build-up well. 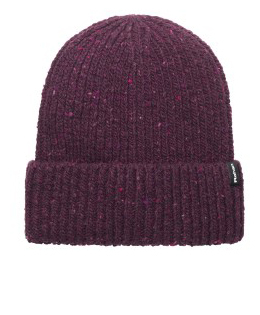 The EDZ Merino Beanie weighs 46g and costs £20. Having a charged-up mobile phone could be a lifesaver if you need to ring for help or even just to tell your mates you’re coming off the hill and get the beers in. But modern smartphones have notoriously short battery lives, so this little gadget is great to take into the outdoors with you. You plug the Power Bank into a USB socket using the supplied micro-USB lead, and charge it until the red LED in the end of the unit turns blue. Using a computer of laptop, this takes about five hours. A mains charger will do the job in about two hours. Slip the Power Bank into your rucksack and relax a little, safe in the knowledge you have an emergency power supply. If you need to charge your phone, it takes up to three hours, but you can use it while the Power Bank is attached. Bear in mind the charger comes with a micro-USB plug at one end of its lead, so if you have a recent iPhone, you’ll need to take the appropriate lead for the phone as the Apple phones don’t have USB sockets. This GoTravel unit is not designed to charge larger electronic devices such as tablet computers, but it worked well with our smartphones and is a neat, light piece of kit for today’s outdoor enthusiast. 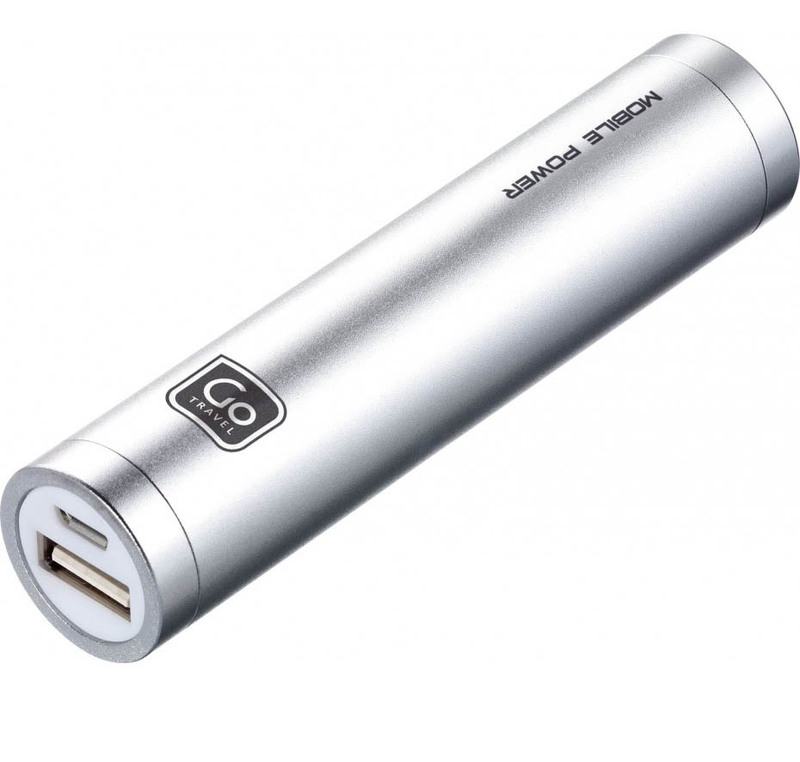 The Power Bank Single weighs 78g including the supplied lead, and costs £14.99. Ok, so first we might have to explain what a growler is. More common in the USA and antipodes, these are sealable bottles in which you take home your beer. 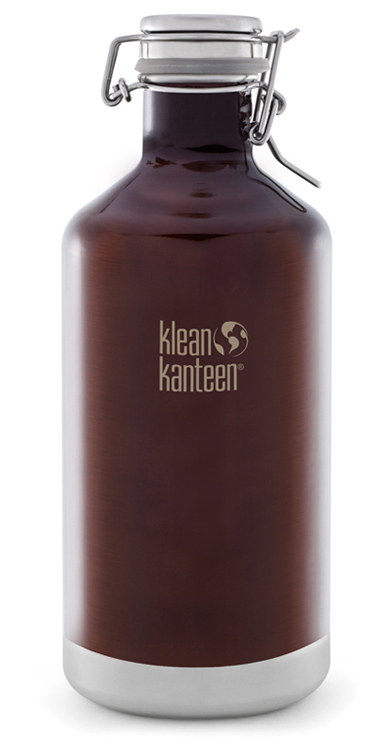 This Klean Kanteen Growler is a very sturdy beast, holding 1.9 litres or about 3⅓ pints. It has a Swing Lok cap – the sort you find on bottles of a certain brand of Dutch beer – which means it keeps all the fizz in your beer. So if you want to bring a little alcoholic refreshment back to your tent, this insulated Klean Kanteen Growler will keep your beer both sparkling and cool, because this version is vacuum insulated: perfect for those rare warm evenings at the campsite. The stainless steel growler has an electro-polished interior that doesn’t retain or impart flavours and its exterior has rounded corners to make cleaning easier. It will keep beer, or any other cool carbonated drink, at the right temperature for up to 24 hours and it has a wide, 44mm opening for easy filling. Its solid construction means it tips the scales at 803g, so it’s not really aimed at backpackers though, if you wanted a mountain-top celebration, this beefy growler means your beverage would survive intact. The new Klean Kanteen Vacuum Insulated Growler costs £62.95. While we’re on the subject of drink, the Klean Kanteen Steel Cup is a tough, straightforward, ideal addition to the campsite kit. The durable stainless steel construction means it won’t break like a glass tumbler and it doesn’t retain flavours. It holds half a pint, so is great for picnics and barbecues too. The Klean Kanteen 295ml Steel Cup weighs 74g and costs £6.95. With an array of sizes featuring generous windows and offering full functionality, E-Case’s eSeries protects a wide variety of today’s phones and tablets from water so you can talk, text and capture your moments from soggy peaks to sandy shores just as you would without a case. Prices range from £18 to £27. The Merino Multi-Tube is a versatile but lightweight piece of kit to keep you warm on those cool days. 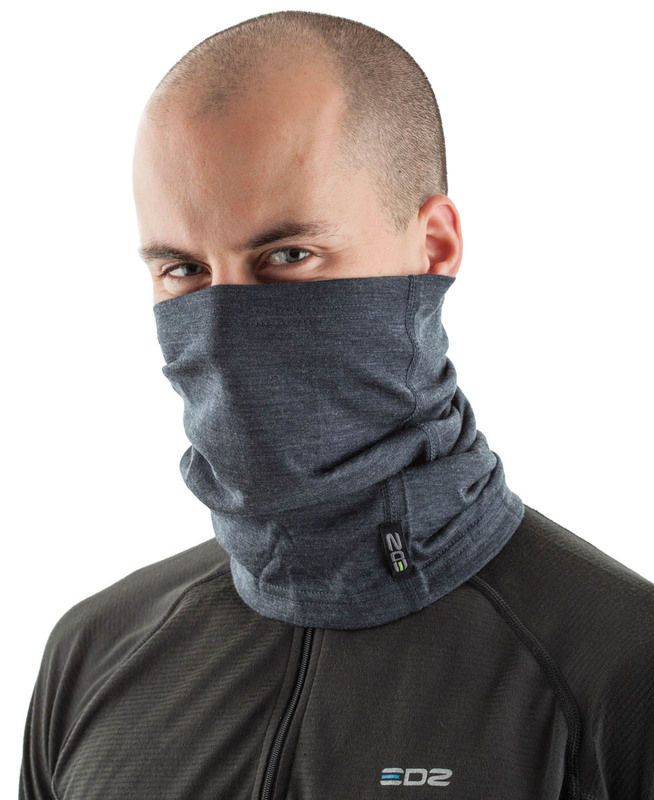 We used it principally as a neck gaiter, stopping those sneaky winds cooling you down and also helping wick sweat away when pushing the pace. It’s 50cm long and is made from stretchy 100 per cent merino wool. It can be pulled up to provide a face mask when you’re heading into those biting winds, fashioned into a bandana, a beanie or a balaclava. And it only weighs 50g and hardly takes up any space in your pack. The EDZ Merino Wool Multi-Tube resisted odour build-up well. It retails for £18. This neat idea for a drinks container helps save space in your pack. The Stash bottle is soft-walled and collapses down to a compact 53mm (2-inch) height when you’re not using it. There’s a knack to unlocking the bottle: unscrew the lid and press the top until the bottom pings out and then it can be filled. Once filled with liquid, it won’t collapse, even though it looks like it should! The bottle remains rigid. To drink from it, unscrew the lid and hold the top. Obviously, if you squeeze the body of the bottle, it’s likely to eject the contents more rapidly than you want. You can part fill it and it will take up less space. Once empty, you twist the bottom which folds the flexible part into the top, and push the two halves together. 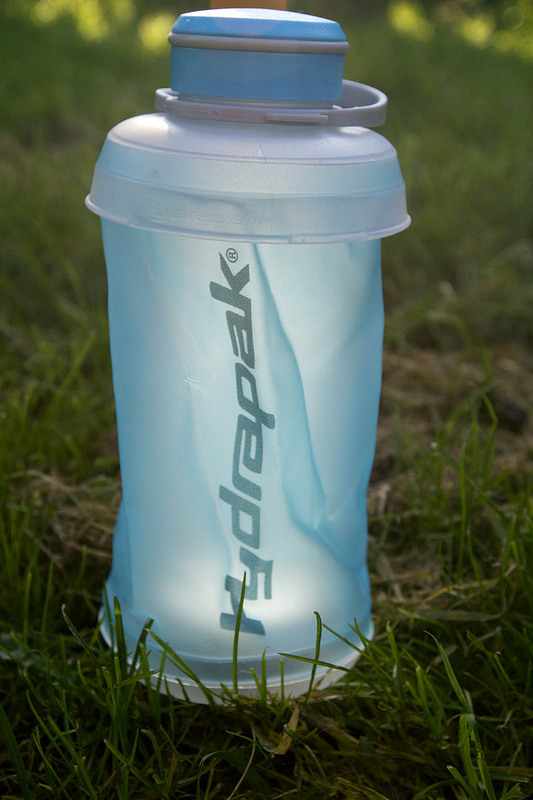 The big advantage is that, once you’ve used some or all of your drink, you can compress the Hydrapak Stash into something that slips easily into a jacket pocket. Ideal if you’re space conscious. 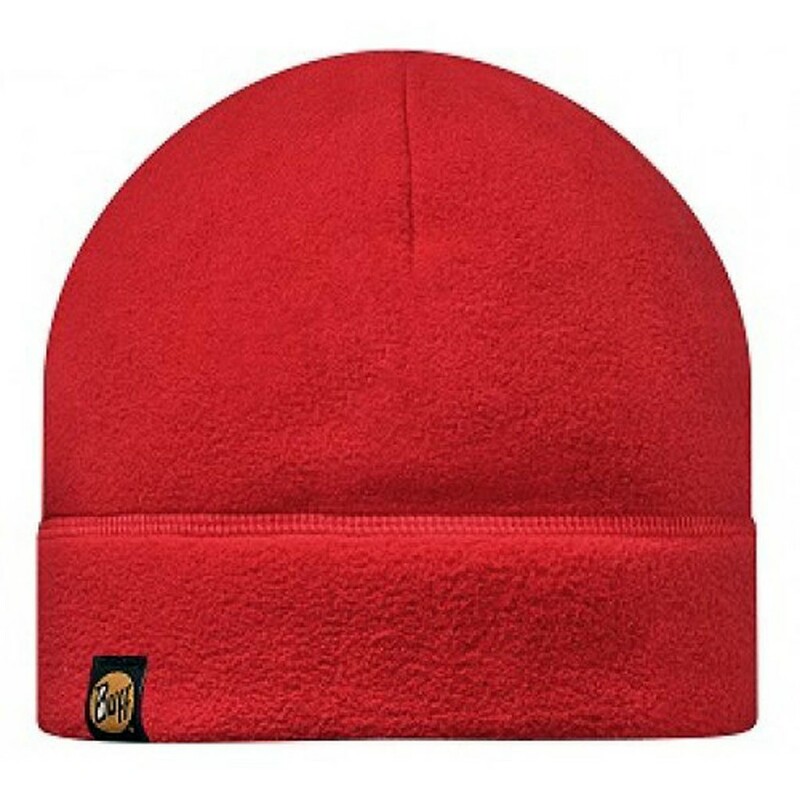 Mammut’s Tweak Beanie has warm micro-fleece inside to keep your head warm when it’s cold outside. 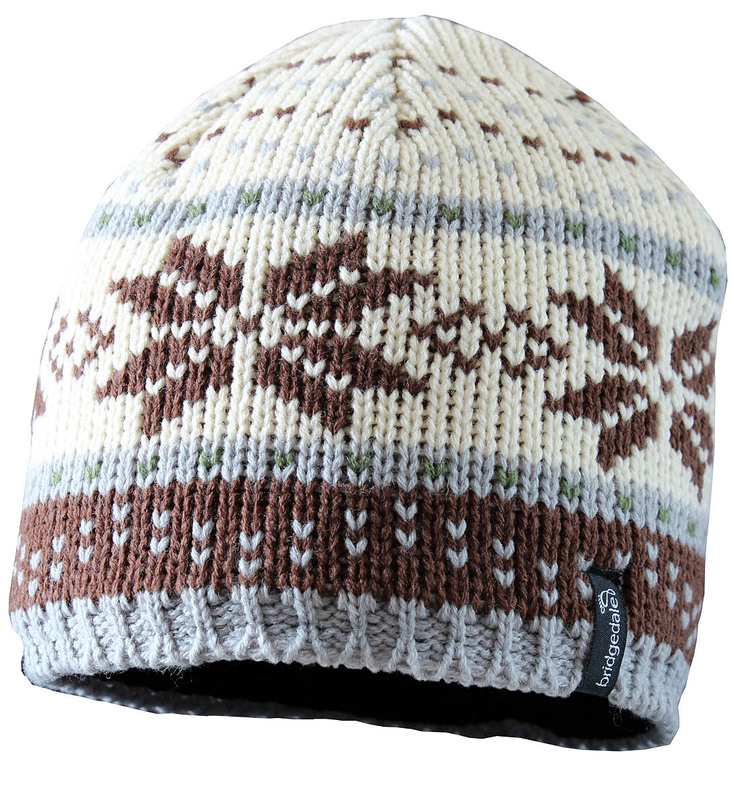 It’s a classic knitted beanie with an embroidered Mammut log and is good for climbing, winter walking, ski-touring and backcountry skiing. It costs £22. These Italian-made socks have lots of padding where it matters, at the heel and sole. There’s venting over the forefoot and the Achilles tendon area is reinforced to provide durability. The mix of 20 per cent merino wool with polypropylene, polyamide, acrylic and a little elastane makes for a very comfortable sock, combining good wicking properties with the warmth of the wool. 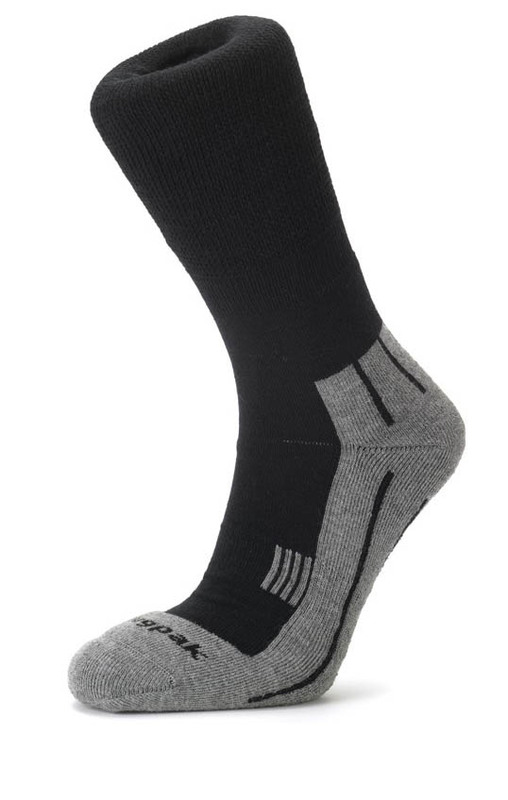 On cold, wet days, these Snugpak socks kept our feet nice and dry and warm. They weigh 80g a pair and cost £10.95. With dark nights upon us, Suprabeam torches make the perfect gift for any outdoor-minded person and come in a deluxe presentation case. 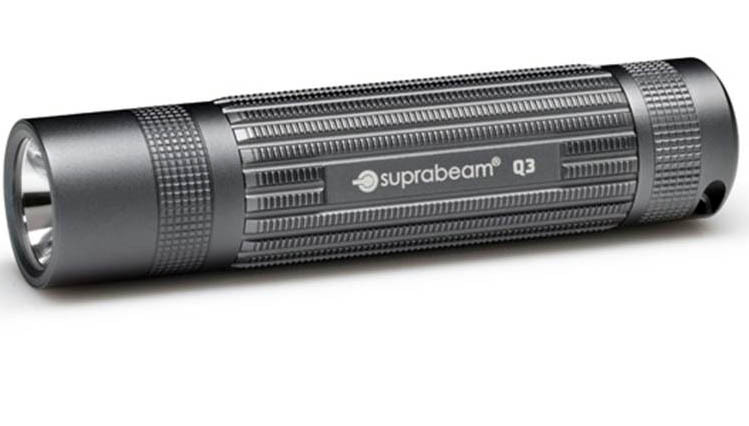 All Suprabeam torches benefit from Hyperfocus LED light focusing technology which produces the ultimate light output by limiting optical light loss to a minimum. All components are tested to the highest standards providing a five-year limited product warranty and the integrated digital power management guarantees peak LED performance and extended battery life. Prices range from £30 for the Q1 to £50 for the Q3. These stuff sacks are great for keeping your gear separate and also dry in your rucksack. They come in a pack of three, with an 8-litre, 4-litre and 2-litre version for different types of gear. 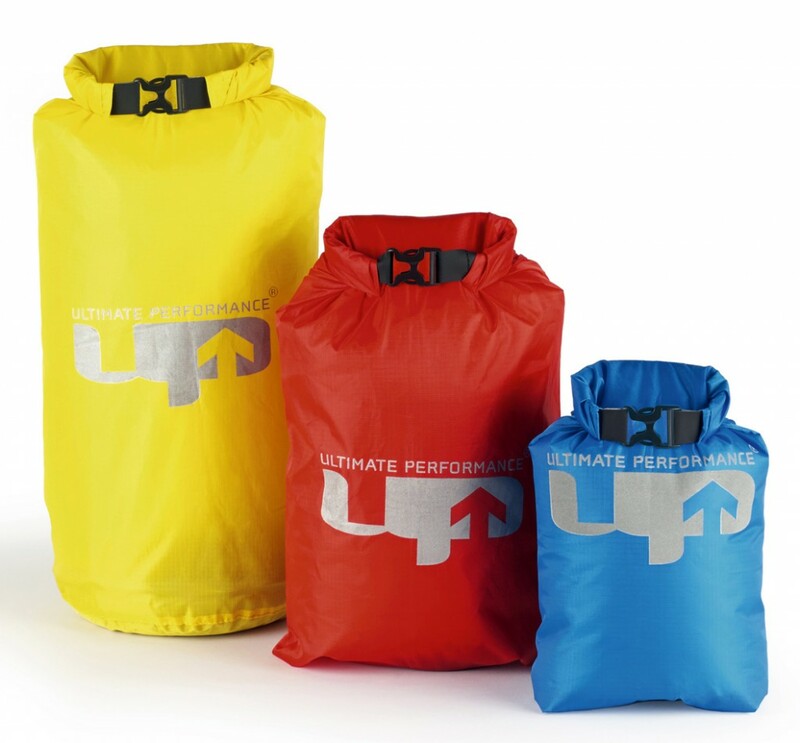 The sacks come in PU-coated ripstop nylon and have a roll top and buckle fastening. The bags have double-stitched seams which are taped and they kept our clothing and gear dry in our rucksack even on days of torrential rain. The sacks are lightweight – the three together tip the scales at 86g so they’re not going to add much weight to your pack, but they do give peace of mind. We used the 4-litre one to stuff our insulated jacket in, which meant it took up less space as well as being protected against the damp. The dimensions of the largest is 47cm x 27 cm (18½ x 10½ inches); medium is 39cm x 25cm (15 x 10 inches) and the small one is 32.5cm x 19.5cm (13 x 7½ inches). They’re great value at £19.99 for the set, and help keep your gear organised and dry. A multitool is a great piece of kit to have both around the house and on the campsite. This solid Leatherman model has 15 different tools, including the main 6cm knife blade that can be opened from the outside of the tool without opening out other elements. Also accessible from the outside is a mini saw. Open the tool and you have spring-loaded needle nose pliers with a standard plier section and wire cutters, flat-blade and Phillips screwdrivers, a smaller flat-blade screwdriver that doubles as a 2.54cm (1-inch) ruler, a serrated knife, a can opener and bottle opener and a wood and metal file. The main knife blade and the mini-saw both have locking mechanisms, so users need to be aware of the law about carrying such items in public places. The Leatherman Sidekick comes with a removable belt clip and also a sturdy nylon carrying pouch with Velcro closure and a belt loop on the back. We found the Sidekick useful for lots of little jobs. The knife blade is the obvious main one, but having a set of combination pliers and screwdrivers in one tool is a boon. It also came with a spring carabiner which also has a bottle opener and hex key incorporated, to enhance the tool’s usefulness. It’s a very solid item which carries Leatherman’s 25-year guarantee. 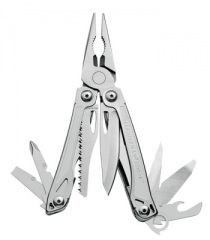 The Leatherman Sidekick Multitool weighs 226g and costs £59.95. This dinky little lamp is a versatile camping addition that gives up to 150 lumen through its concertina expanding globe. The Backcountry is simple in operation: swipe the touch-sensitive switch to the right once for full white light; swipe again for dimmed light and once more for flashing light at full strength. A final right swipe turns it off. Do the same swiping to the right and you get the same sequence but in red light. 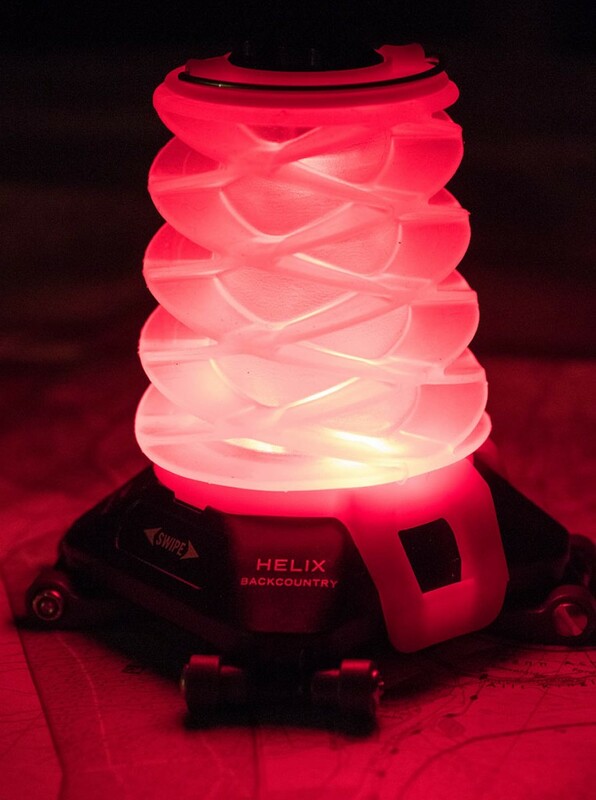 White light comes from a single Maxbright LED and two Ultrabright LEDs provide the red light. If you want a brightness between the two settings in white and red, simple hold your finger on the switch and it will progressively dim to its lowest output before briefly blinking and cycling back up to full power. With the globe on, the Backcountry Lantern gave a nice easy light in the tent, good enough for two people to read by. The base has four little fold-out legs, each of which has a built-in hook if you want to hang the lantern. There is also a metal loop on the very top of the lantern globe to hang it from. With the globe removed, the lantern can be angled to near-vertical to direct light to where you want it. For storage or carrying, the globe compressed down and clicks in place to make the lantern more compact at a height of just under 7cm (2¾ inches). Rated burn time for full-power white light is eight hours with fresh batteries, or 24 hours on low power. The Princeton Tec Helix Backcountry runs on three AAA batteries (alkalines are supplied with it) and weighs 186g. It costs £39.95 and comes with a five-year guarantee.